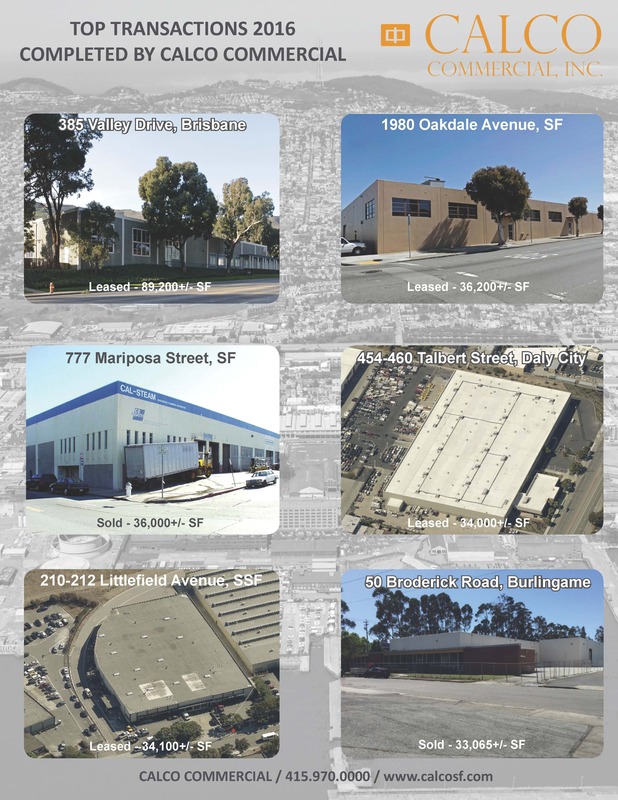 Calco Commercial Top 2016 Transactions | Calco Commercial, Inc.
Calco Commercial completed over 70 lease and sale transactions in 2016 totaling over 650,000+/- square feet of industrial, commercial, office and flex spaces in San Francisco and the Peninsula Areas. 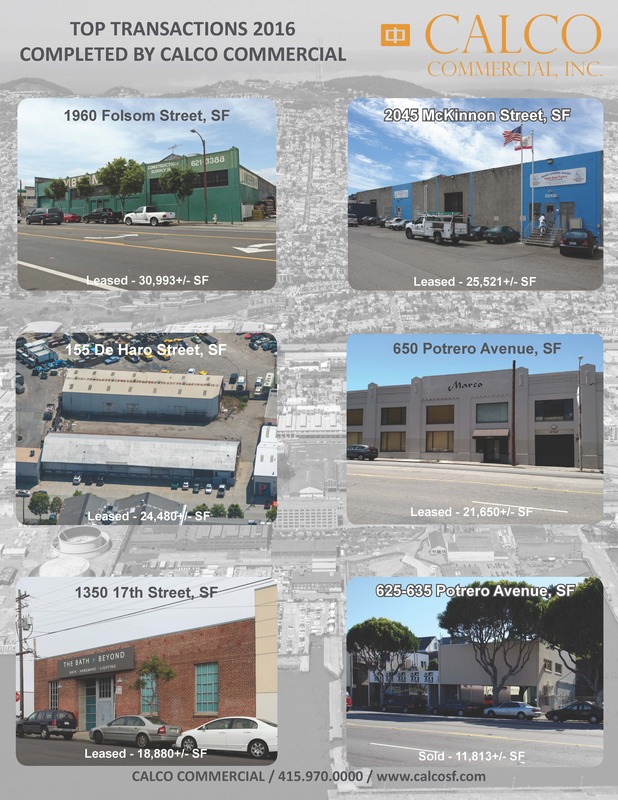 We are a leading industrial & commercial real estate firm, and consistently complete more transactions in the industrial market than any other firm in San Francisco. We have decades of experience in Landlord /Owner representation, helping Tenants find spaces to fit their needs, and assisting Buyers with net investment properties and trades. Calco Commercial is a full service firm that can help make the most of your real estate properties and investments. If you would like to discuss your real estate options, or would simply like more information related to current market conditions, please call our office a 415.970.0000, or directly contact one of our professionals.